March 28, 2011 – At 21:50 Station 4 was dispatched for Tanker 738 to respond to 301 Hughes Street, New Ringgold for a working structure fire. Crews arrived on scene, assisted with fire attack and overhaul. Due to the abundance of manpower, Squad 739 also rolled on the call and the cascade system was utilized at the scene. 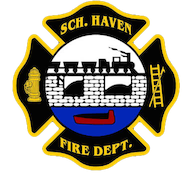 Chief 720 (Peel) was in command of all Schuylkill Haven units.